Item De scription: Hi, we have for sale a new Stereo Speaker Selector Box. Note: Speaker Selector is Limited to 10 watts per channel continuous music power. 2 Way Stereo Speaker Switch Box with mounting screws. High Power A B A B Stereo Speaker Selector Switch Switcher Combiner 2 Way Black Box A/B Box. Note: Speaker Selector is Limited to 200 watts per channel continuous music power. 2 Way Stereo Speaker Switch Box with mounting screws (1 IN - 2 OUT). This speaker selector allows you to connect up to eight stereo speaker zones. Each zone can be individually toggled on or off with the front panel switch. Built-in impedance-matching circuitry ensures that the overall impedance level to the amplifier does not drop below 5 Ohms, no matter how many speaker zones are selected or how many speakers are in each zone. This device can handle up to 100 watts per channel. It supports a frequency range of 20Hz to 20kHz. Accepts wire gauges up to 14AWG and maintains load at 8 Ohms. Cambridge Audio DacMagic 100 that I bought a couple years ago that has probably been used less than 100 hours and has just been sitting on a shelf. The led for the Toslink (Optical) input does not light up, however the port has been tested and does work. First time eBay seller. This is my second NUVO P200 unit I am selling on eBay. This worked great for years but I have since upgraded. Best part is it works with the app NUVO you can download and choose your songs/zones that way. Really simple for anyone. Happy to answer any questions. Bang & Olufsen Beolab Receiver 1 WISA. Condition is Used. 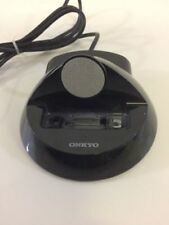 This can connect to a B&O speaker or subwoofer to form a wireless connection with any WISA compatible B&O product. Call almost anyone hands-free, or make video calls to family and friends with Skype, the Alexa app, an Echo Spot, or Echo Show. New never opened Amazon Echo Spot black. All hands-free—just ask. Niles Audio SVC-4 Speaker Selector / Volume Control Protection Circuit ,Minty . SPECIALTY-AV SP-94-V Audiophile Grade 2x4 Matrix Speaker Selector, accepts 12AWG speaker cables via Brass Gold Plated Banana Sockets! Accepts up to12 gauge speaker wire via brass gold plated banana socket connections. Monoprice Dual Source 2-Channel A/B Speaker Selector w/ Volume Control MSV-2. Condition is Used. Shipped with USPS Priority Mail. Compatible with 14-18 gauge speaker wire. Subwoofer Black - by Polk. It may show light wear from normal use. 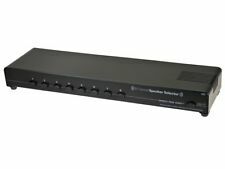 Cambridge Audio DacMagic 100 Digital to Analogue Converter - Black. Open box but not used even once. Looks nice and sleek. In good working condition. PLEASE SEE ALL PHOTOS, THEY ARE A PART OF THE ITEMS DESCRIPTION. Compact table top selector provides cost effective selection of up to 3 stereo sources into the line level input of an amplifier. We are certain that you will be satisfied with your product and our service. It's used, but in very good condition and has no issues at all! Double sided tape on the back for easy application to the surface of your choice. The buy-it-now price is per pair of two identical badges. At the end of these connectors it will include a double sided connectors pins that can be attach to the actual speaker wire length you require. No tools or tape required. Making it all easier than ever! 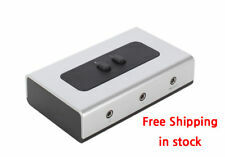 2 PORT 3.5mm High Quality STEREO Manual Switch Box AUX Audio Speaker selector. Item is new in the box. Trending at $21.12eBay determines this price through a machine learned model of the product's sale prices within the last 90 days. Pyle PLMR24B. The PLMR24B is a pair of 3.5", 200-watt, heavy-duty weatherproof speakers - perfect for the deck, the backyard, by the pool, or on your boat or other marine vehicle. Bass reflex vent provides even more low end for your buck. HiFiBerry Digi+ w/ Transformer-Isolated S/PDIF Output for Raspberry Pi!!!!! The HiFiBerry Digi is a high-quality sound card for the Raspberry Pi, providing optical and coaxial S/PDIF output. The result is very low jitter! The Digi supports sample rates up to 192 kHz/24 bit. Adjust the included shorting bars to connect up to 8 pairs of speakers to a single amplifier, receiver or selector box. Use the provided charts on the instructions to set the shorting bars to your specific application. I have a Pioneer N30 in excellent condition. Comes with the unit, remote, and power cord. I don't have the original box, but it will be shipped securely in a similar box. Wadia 170i transport w/ Universal Dock for iPod NEW. Schiit Audio Bifrost DAC Digital Optical and Coax inputs. Fully upgradeable by Schiit Audio to multibit and/or USB. 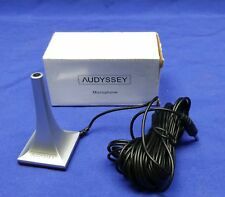 Condition is Used with original box, power cord and manual. Includes Monster Cable digital coaxial cable and Monster Cable optical to 3.5 mm optical cable. Psyclone PSC01 Audio Video Source Selector Box Competition Grade. Condition is Used. Includes remote. One scratch on top from another component. Trending at $29.20eBay determines this price through a machine learned model of the product's sale prices within the last 90 days. NAB 10.5" Reel Hub Adaptors;. note the image above showing a Teac original hub on the left and our version on the right. Several other major manufacturers once made similar one-piece adaptors, including Pioneer, Sony, Akai and Tandberg. I'm not a dealer, just an enthusaist and swap out my gear once every couple of years. The preamp works great. 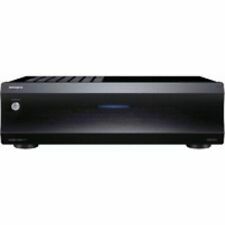 Has inputs for three sources- two stereo and one 5.1 channel. Sounds transparent and has plenty of gain using the Burr Brown pga-2310. M2Tech HiFace USB to BNC S/PDIF. Superb sounding digital converter that supports up to 24/192 sample rate. Works with MAC OS and Windows. Drivers are available from M3Tech. If you need an RCA output, BNC to RCA adapters are inexpensive and easily available. In-Wall Right/Left Speaker Dual Knob Separate Volume Sound Control SPECIAL OFFER! The PVCD15 In-Wall Volume Control System is a convenient, easy way to control the volume of your home speakers. This dual-knob wall plate installs junction box in your wall, just like a light switch. It s unobtrusive, clean, and matches your décor. Control up to 2 speakers with the independent rotary faders. Standard and universal style wall plates included. 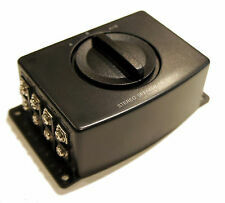 Theater Solutions TS8D Eight Zone Dual Input Passive Speaker Selector Box. This Selector Box allows you to add up to 8 pairs of speakers. The A and B option allows you to connect two sources and switch between those sources with ease. In-Wall Speaker Selector Switch, Wall Plate Speaker Control SPECIAL OFFER! The Pyle PVCS2 is an in-wall A/B speaker selector switch that installs junction box, just like a light switch. This switch makes it simple to direct your home amplifier s audio to two sets of speakers, such as one set indoors and one set outdoors. Activate the A speakers, B speakers, or both. Easy push button operati ows you to activate or deactivate your speakers quickly. The included wall plate frame cover allows for a clean installation for your walls. Take control of the audio with the Pyle PVCS2 Wall Plate Speaker Control Selector Switch. The price is for two identical badges. You just get the pure, punchy multibit sound through a very simple filter. More spaciousness to the sound. I'm not sure, but know what I hear. This 4-channel speaker selector allows you to distribute your audio signals to up to four different speaker "zones". An optional impedance protection circuit ensures that impedance seen by your amplifier remains constant, no matter how many speakers are in use. Schiit Bifrost DAC Silver - Looks Perfect! 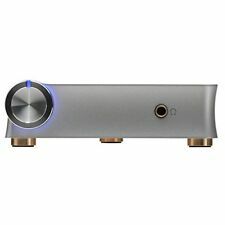 Schiit Bifrost DAC Silver - Looks and works like when I got it! Purchased new from manufacturer last year. Selling because I upgraded to Gungnir Multibit. Buyer pays shipping.